I’m a life coach and certified financial advisor, but I’m not interested in coaching clients to have wealth. If you only want wealth, there are many other advisors who can help you. I’m much more interested in coaching you to have ABUNDANCE. It means that you will enjoy a life that has MORE THAN ENOUGH. You will live a life that is overflowing with love and friendship. A life surrounded by positive-minded, big-hearted friends giving their time and money to help the less privileged. A life that has balance – between work and play, giving and receiving, learning and teaching, action and reflection. A life full of impact, instead of one filled with regret. I enjoy talking to Eugene. I learn a lot from him about many aspects of life, including financial, spiritual, family and even dating. So far my school has never taught me these lessons and I’m glad to be able to learn them from Eugene. He’s very approachable and I can ask him any questions I have. Imagine a time when you are 90 or 100, looking back at your life. Everyone wants Abundance, but not everyone has the right Mindset, Mastery and Money skills to enjoy Abundance. I’m very grateful first to God for His faithfulness and second to Eugene and his friends for helping me to achieve my dream of publishing my own autobiography and earning more income than I’ve ever imagined! He truly has a spirit of Abundance! 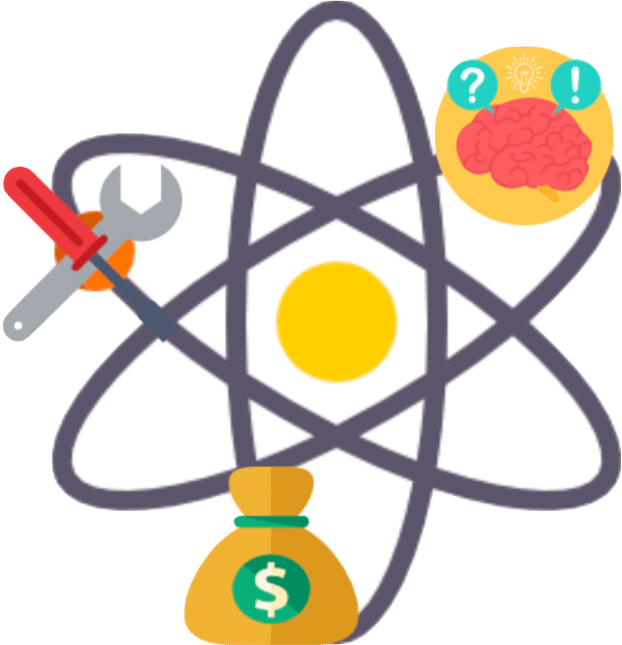 Author of "Finding Happiness Against the Odds"
We will have an enjoyable discussion about your dreams and goals, and if you are ready (only if you are ready), we will also discuss about your cashflow and investments. I will help you master your money, instead of allowing money to master you. I will guide you to transform finances into an enabler of your dreams, not a stumbler. 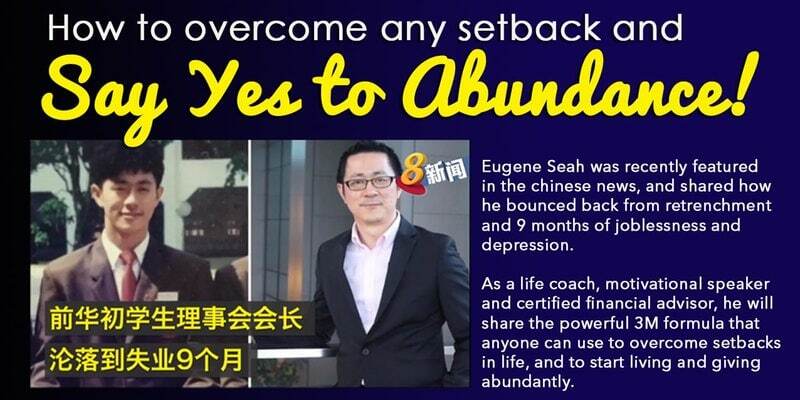 I have many friends who are financial consultants but no one does it like Eugene. 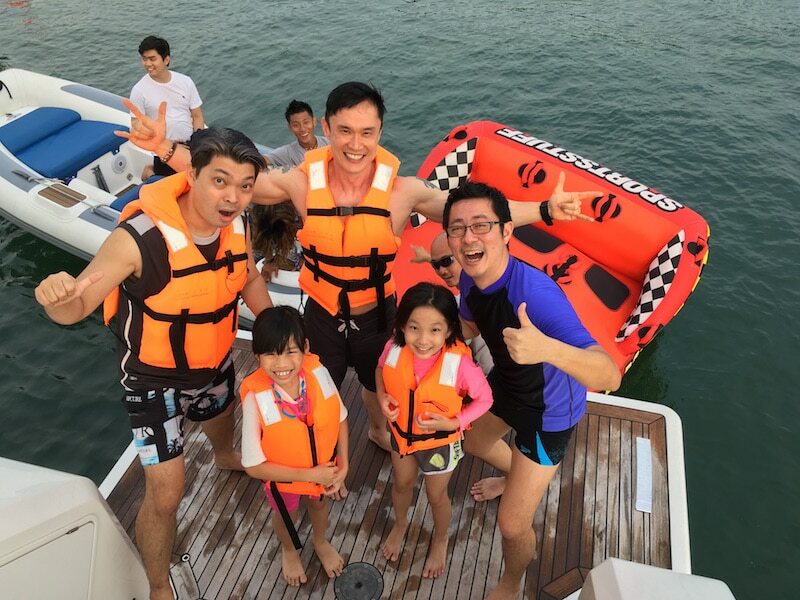 He organises many fun and unique events for his clients, including luxury yacht trips, movie experiences, durian parties, business networking, inspirational talks and community outreach. What he’s doing is beyond financial planning, it’s life coaching based on the spirit of Abundance. I’ve become a lot more financial savvy after spending time with Eugene. Not only does he coach me on the financial (spending and saving), he also taught me how to create a premium personal brand and earn more in my business. A value-added service, financial service and branding coach. Highly recommended. I just got married and there are so many things to plan! It’s easy to neglect the financial aspects of marriage and I’m very glad to be coached by Eugene on this. He taught me how to set financial goals and what tools to use to achieve those goals. He also goes beyond finance to coach us on our marriage and business too. Thanks Eugene! 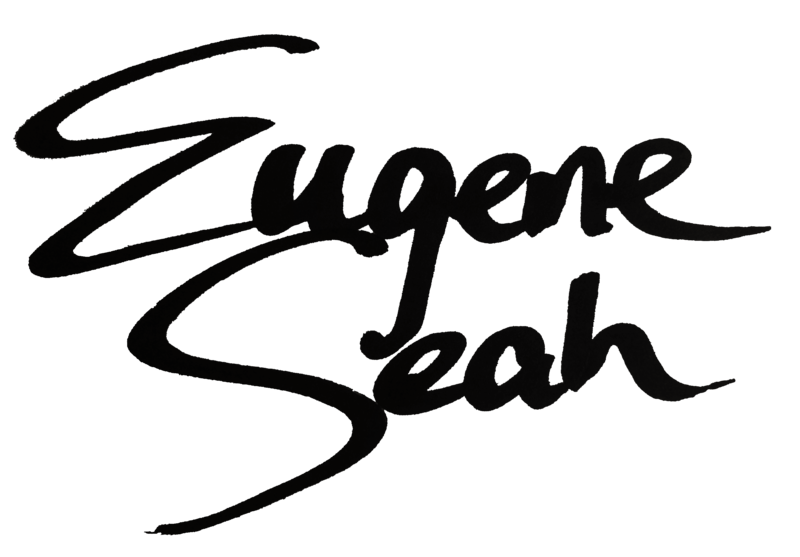 Eugene is not only my financial advisor, he’s also my trusted friend, and helps me with retirement planning, and at the same time give my son a financial advantage. 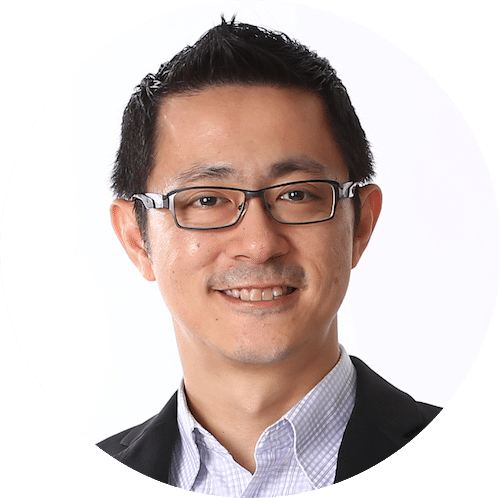 As a popular speaker and coach, he also creates unique and inspirational networking opportunities to bring like-minded people together for greater synergies. If you’re looking for a holistic financial coach who can advise you on finances, family, and future-ready skills, I would not hesitate to recommend him.